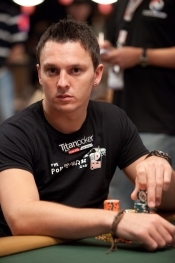 Sam Trickett is the most successful UK poker player ever - as was confirmed earlier this year when he won over $10 million for his second place on the World Series of Poker (WSOP) event called the Big One for One Drop. Unfortunately, on leaving the casino he was set upon by six thugs who beat him up and spat at his girlfriend. Fortunately they stole nothing and he recovered from his injuries. Born in 1986, in East Retford in Nottinghamshire, he began his career with ambitions of becoming a professional footballer. He played for Hartlepool United, but received a knee injury that was serious enough to end his football career. He trained as a plumber and gas engineer, but preferred his life in the casinos of Sheffield where he regularly played poker. 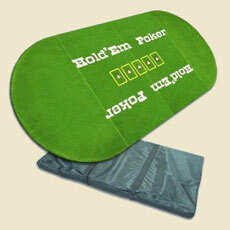 He also regularly played Online Poker at Betfair concentrating on low stakes sit and go games. He didn’t start playing seriously in tournaments until 2008 and in that year he came fourth in a no-limit event in the World Series of Poker. The buy-in was $5,000 and he won $245,000. He quickly followed that up by winning the Luton GUKPT Main Event collecting another $210,000 in prize money. The 2010 WSOP was also good for him and he cashed in six events making around $690,000 in total. He followed this with a fourth place in the Vilamoura DeepStack tournament collecting around $140,000 and just two weeks later he won the PartyPoker World Open adding another $200,000 to his bounty. With the 2012 WSOP win his total tournament earning now amount to over $16 million. In the 2012 British Poker Awards (BPA) he recently won “Player of the Year”, “Best Cash Player” and “Best Tournament Player”, affirming his position as the all time greatest UK poker player. These add to his award of “Best Newcomer” in the 2010 BPA and “Best Cash Player” in the 2011 BPA.